GPs required for a Family Practice in Perth, Australia which has been established for over 27 years. There are 4 buildings on site which have recently been refurbished and equipped to a very high standard. The main GP clinic has 10 consulting rooms, a 5 bed treatment room, 1 procedure room and specialist equipment including an ultrasound. The Women’s health clinic has 3 consulting rooms, the skin clinic has 2 consulting rooms and 1 procedure room. There is also a physiotherapist on site. Specialising in O&G there are 7 midwifes at the surgery.There are teaching practices as well as clinical meetings with the Drs every Tuesday. There is also onsite Pathology, Pharmacy, Psychiatry and Podiatritary. The opening hours are 8am -8pm Monday to Thursday and 8am to 5pm on Friday and Saturday. A full time week will be 38-40 consulting hours, however they could accommodate as little as 24 consulting hours within these times, there is flexibility around number of hours and when they are worked. It is a mixed billing practice. GPs will earn 65% of billings and Doctors will also receive a % of the practice incentive payment if they get involved in teaching. One of the most biologically diverse regions in the world, with a beautifully sunny climate, Western Australian culture and lifestyle is what makes it’s an extraordinary place. Perth is regularly ranked in the top 10 most liveable cities, with its own premium wine region, 19 white-sand beaches and Indian Ocean sunsets. 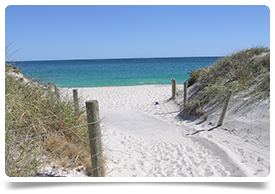 Based South-west of the Perth city centre there is everything you would expect from a Coastal location beautiful beaches, clear blue sea for relaxing and a range of water sports. Multiple shops as well as plenty of restaurants, cafes, pubs, excellent schools in the local areas; both private & government; primary & secondary and 30 minutes from Central Perth. This is a fantastic location for a GP looking to relocate and improve their quality of life.